Hasan Minhaj is a correspondent on The Daily Show. 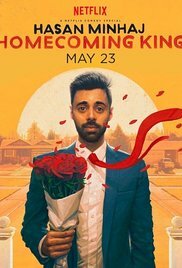 Homecoming King, his story of growing up in California with his immigrant father, is amazing. This show rocketed onto my Top-10 of the year. It is amazing, emotional.. It's on Netflix. 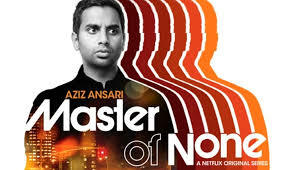 Master of None is one of the best series on TV. It's about living the single life in New York. There are two seasons on Netflix. 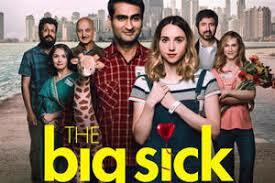 The Big Sick was one of my favorite movies of this summer. It's still in cinemas, and is now also available for streaming at iTunes or Amazon. Immigration is an extremely complicated issue. 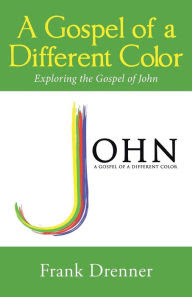 I've preached about it for years. But we're not talking about policy or theology; these are people with lives. It's easy to think of immigrants as "other." But in the days after Hurricane Harvey, I couldn't possibly count how many Facebook posts I saw that said something like, "It's great to not see ourselves as X or Y or whatever else-- we're all just Texans/Americans helping each other out!" I love that sentiment, but then a few days later to announce that we're going to put 800,000 kids of immigrants in jeopardy of deportation is wrong. I hope Congress fixes the immigration issue. Turns out a man who was a DACA recipient died saving others during the flooding. There are many other great movies and TV shows telling the stories of immigrants. In the end, the best way of overcoming biases and prejudices is to listen to each other's stories. These shows can begin those conversations.